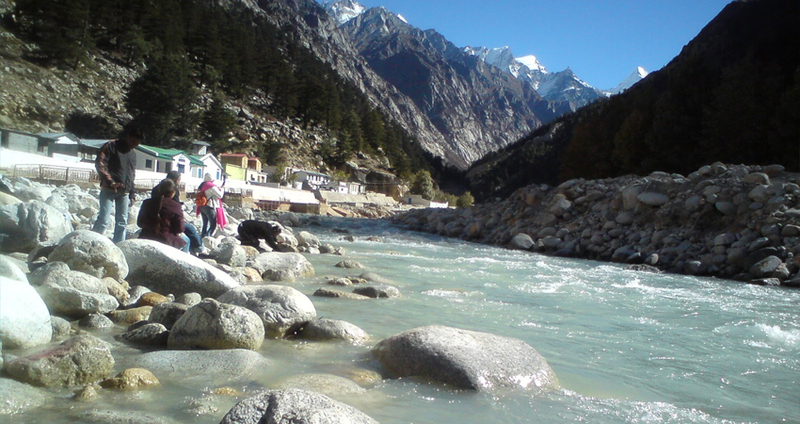 Gangotri is the origin of river Ganga. It is one of the four holy spots of Char Dham Yatra. There is a great story behind the origin of river Ganga. A temple dedicated to Goddess Ganga. To be found at an altitude of 3,415 meters. 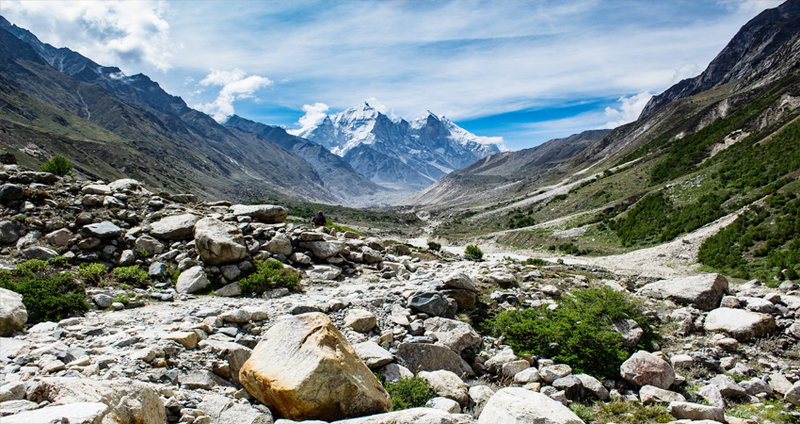 May to June and September to November are the best time to visit Gangotri. Summers are cold and winters are not reachable for traveler. Gangotri is among the most excellent places for visitors seeking for tranquility. It is located in the northern part of Uttarakhand State at a height of at 3,415 meters above sea level. Along with the natural magnificence this spot is also famous for pilgrimage of India where devotees come in large number. It is famous across the world for the Gangotri glacier which is the original source of the sacred river Ganges. 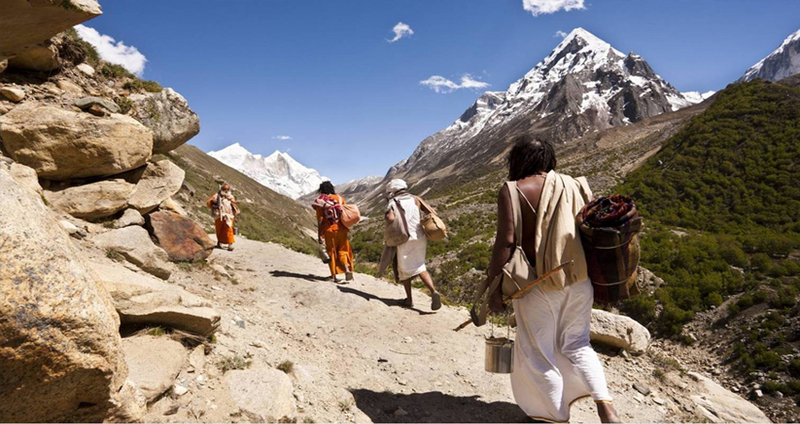 This attractive and holy place is to be found in the surroundings of Himalayas. 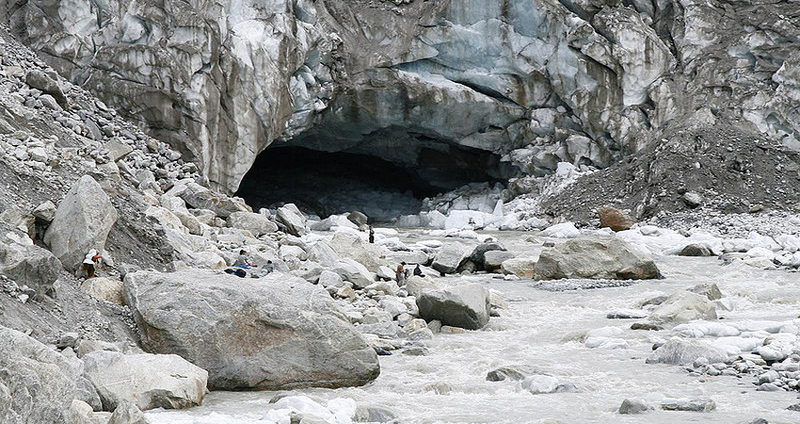 It is the first spot where river Ganga contacts earth for the first time after rising from Gangotri glacier. This glacier is the 2nd longest glacier of Himalaya after Siachin. According to Hindu Holy Scriptures it is said that Goddess Ganga - the daughter of heaven manifested herself in river form and come down to earth to forgive the sins of king Bhagirath's predecessor. This 300 year old temple is committed to Goddess Ganga which is modernizing in the 20th century with 20 feet construction of white granite rock. Based on the myths it is said that river Ganga contact earth at this spot. This is also the spot where Pandavas achieved the great 'Deva Yagna' to atone for the deaths of their kinsmen. There is a natural rock Shivalinga, called the Jalamagna Shivalinga which is only visible throughout winters when water recedes. This Shivlinga is most revered idol of this temple along with the figurines of Goddess Ganga. The main tributary of Ganga namely Mandakini and Alkananda originates from Kedarnath and Badrinath in that order and transfer their huge quantity of water into it. These holy rivers actually support the river Ganga and may be measured as other sources of river Ganga as these parts of Himalayas along with Gangotri constitute well-known Chardham Yatra. Chardham Tourism is the budget tour planner for Gangotri Tour. We have complete Gangotri Tour Packages for every one as Gangotri Dham Bus Tour, Gangotri Ek Dham Yatra, Gangotri Yatra, Gangotri by Helicopter Tour and lots more. Later than a relaxed breakfast go away for Uttarkashi. One of the best-looking valleys in the planet the .On arrival checks in for dinner, night stay at Uttarkashi. With breakfast depart for Gangotri and on entrance take a holy dip in the sacred River, The Ganges, as well knows as Bhagirathi at its source. Complete Puja after that and relax for a time in the beautiful environment. Come back to Hotel in the day to relax in the bright sunlight and some of spectacular views of the good-looking valley. In the sunset, execute the Ganga Aarti at resorts own riverbank. Dinner and overnight stay. After early breakfast go for Uttarkashi, on the way Tea / Coffee and Lunch at Chamba. Rest of the day will be at freedom. Overnight and dine stay at Haridwar. After an unhurried breakfast you will be transferred to New Delhi. 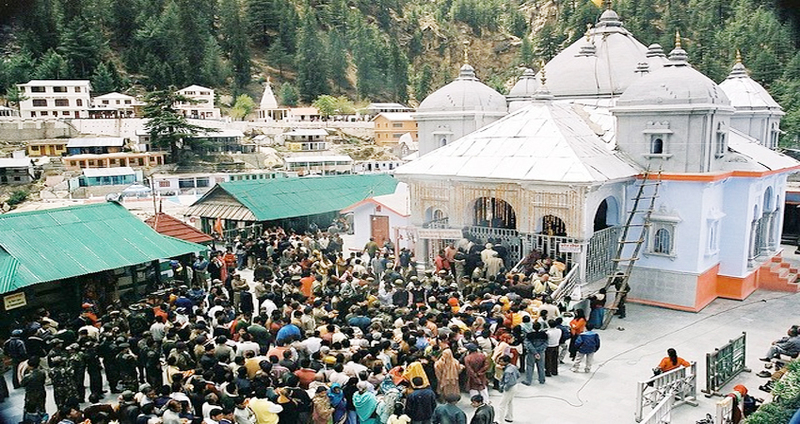 Gangotri is one of the most interesting and holy pilgrimage spot in India. 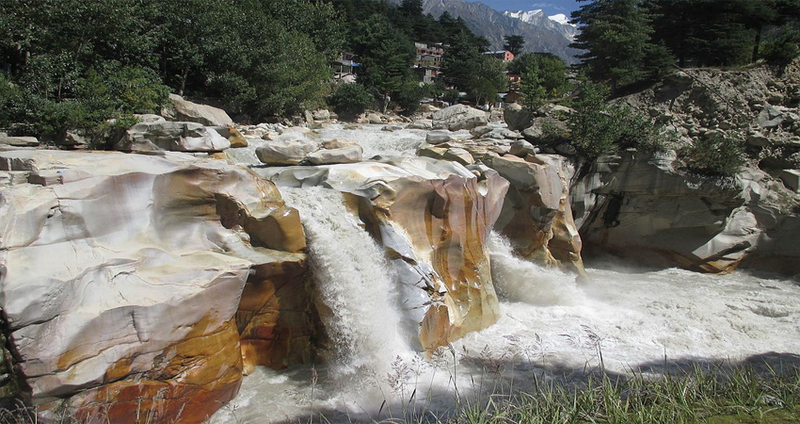 Gangotri tour offers peace, loveliness and exploration in plenty. Gangotri Temple morning time is 6:15 am to 2:00 pm and evening time is 3:00 pm to 9:30 pm. Goumukh Glacier offers wonderful views of the extremely good-looking surroundings. There are lots of places of traveler concern for every kind of guest in and close to Gangotri Dham. Although there is Goumukh Glacier, Bhairon Ghati, Gnag Nani, Vishwa Nath temple, Kedar Ganga Sangam, Kedartal, Maneri, Harsil. If you are interested in camping, visit Cheedvasa and Bhojvasa which are 25 km from Gangotri. And if you are trekking fans, visit Nandavan, a wonderful place for trekking.